Summer is officially coming to an end as we begin our transition into fall and the lovely fall colors that this wonderful season brings. Mammoth enjoyed record tourism this summer with record-breaking visitor numbers. So many people were here enjoying the Eastern Sierra and the wide range of outdoor recreational activities: Back packing, Fishing, golf, hiking, mountain biking, road biking, tennis, paddle boarding, moto cross and paragliding (to name a few). It seems that the hot temperatures in Southern California motivated visitors to head for the mountains, which resulted in Mammoth’s busiest summer in history. I remember years ago when our shoulder seasons would last about six months of the year, which would begin in April and last through October. The director of tourism for Mammoth has done an exceptional job in putting Mammoth on the map and getting people here to enjoy the year-round resort community, which Mammoth has become. I’m not sure we really even have a shoulder season anymore. People seem to be drawn to Mammoth all year long to enjoy the multitude of recreational opportunities or festivals. Seeing this consistent explosion in tourism is great for the local businesses, which depend on tourism to survive. 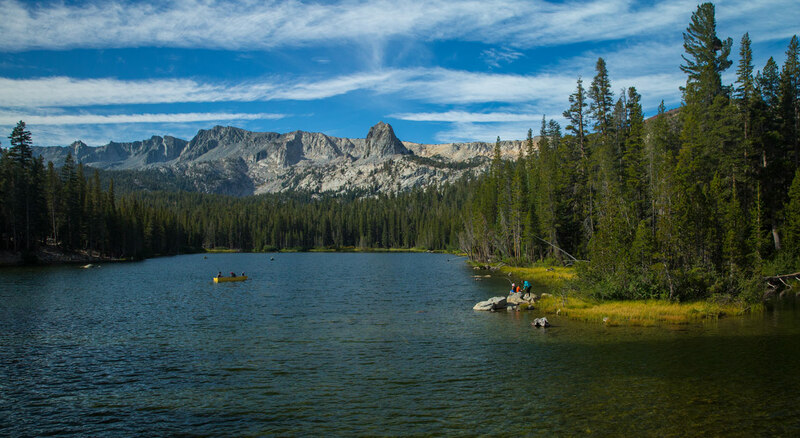 The resort town of Mammoth Lakes is located approximately 5 to 6 hours away from major cities such as Los Angeles, Orange County, San Diego and San Francisco. A large percentage of buyers looking to purchase a second home in Mammoth Lakes live in these areas. As a result, most buyers begin the process by shopping online for condos, homes, brokerages and agents. The emerging trend of this “virtual culture” has created a niche for brokerages who realize the importance of capturing the sophisticated buyer and seller online with a polished Internet presence and social media campaign. 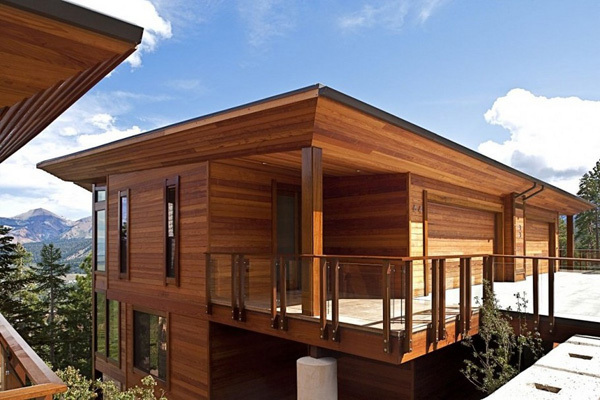 Similar to other cutting-edge real estate brokerages in Southern California, such as Allison James Estates & Homes, Mammoth Lakes Resort Realty is one of the very few Internet-based firms in Mammoth Lakes specializing in today’s virtual real estate culture. Eliminating the need for the old “brick and mortar” office, the firm offers a unique approach to servicing the resort, long-distance buyer. Rather than meeting at an office, clients are picked up at their accommodation or met directly at the property, paperwork is completed via e-mail through the use of DocuSign electronic signatures, and the remote buyer interested in purchasing a property “sight unseen” is skillfully guided through the process with detailed property information, video, and comparable sales data. Mammoth Mountain received a generous amount of snowfall that covered the mountain during the recent storm series in November and early December. Unlike some other ski areas, Mammoth has the unique quality of having a higher base elevation, as snow levels were quite high. The heavy wet snowfall laid down a perfect base to begin the season and enabled the ski area to open all base lodges (Canyon & Eagle) on December 7th. Conditions are incredible and most of your early season obstacles in the upper mountain are well-covered, opening up terrain for every ability level. The early snowfall, unlike last year’s, will guarantee a nice experience for skiers and riders coming for the holidays and into the New Year. Air service is now in full swing with flights from Los Angeles, Orange County, San Diego and the Bay Area. These great snow conditions have gotten buyers excited about owning a little piece of heaven in Mammoth. Our real estate market continues to be competitive with a below-average level of inventory that’s struggling to keep up with the demand. Properties that come on the market competitively priced end up with multiple offers, and generate bidding wars. However, the challenging financing landscape remains to be an obstacle to a possible increase in property values. Stringent lending requirements are giving the cash buyer with a clear advantage over a buyer needing financing. Like never before, CASH IS KING when buying in Mammoth. Many people who were concerned about the possible ramifications of the Town of Mammoth Lakes (TOML) filing for bankruptcy late this summer may or may not be relieved to know that the bankruptcy proceedings were cancelled when the TOML settled with its largest creditor, Mammoth Lakes Land Acquisition (MLLA). TOML agreed to a settlement in the amount of $2 Million per year over the next 23 years, which would include all fees and interest owed on the original sum. Clearly, cuts will need to be made to the Town’s budget in order to accommodate this payment plan, which comes out to 10% of the Town’s annual budget. The good news is that the negative perception of a bankruptcy hanging over our small Town is now removed, but it doesn’t negate the fact that the effects of this settlement will most likely impact Town employees, police force salaries, etc. The TOML will be deciding over the course of this next year on what cuts to make in order to facilitate the annual payments of the settlement. More than likely, the Town’s budget will become more streamlined and hopefully, this change won’t affect our tourism, which fuels our local economy.